Students in grades 7 through 12 are invited to see how computer programming can be used for explorations into mathematical topics. 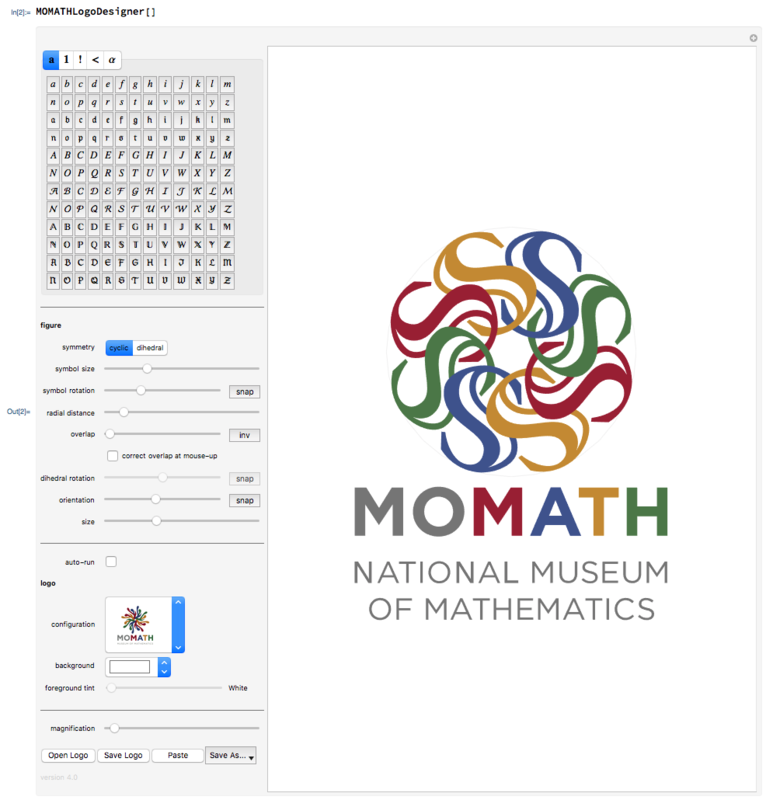 Using the Wolfram mathematical programming language, students will explore the topic of symmetry, leading to creating their very own MoMath logo — and take home a fun, customized souvenir. Don't miss this opportunity to learn about symmetry, introductory computing, and the MoMath logo! No prior programming experience is necessary, but completion of an algebra course with trigonometry is required. Students must bring their own PC, Mac, Linux, or Chromebook laptop. At the end of the session, each student will be given the materials to create their own MoMath logo shirt using a standard clothes iron. Students wishing to have their shirts completed at MoMath may stay after class while the shirts are finalized, or they may pick up their completed shirts at MoMath starting approximately one week after the class session. The National Museum of Mathematics extends its gratitude to BNY Mellon for its support of this exciting program.